Five years ago, it started off as something many people equated to being a Word processing app. Quip, started by former Facebook Chief Technology Officer Bret Taylor and ex-Googler Kevin Gibbs, initially yet another standalone service that created documents in the cloud, joining a crowded marketplace filled with the likes of iA Writer, Google Docs, and Evernote. Beautifully designed and engineered for the mobile generation, this productivity and collaboration app still had much to do in order to stand out. Fast-forward to today, Quip is owned by Salesforce and has become an important part of the enterprise cloud computing provider’s capabilities. What started off handling Word processing is now a legitimate threat to Microsoft Office 365’s market dominance. Facebook coined the phrase “Move Fast and Break Things”, but Quip took a slightly antithetical route. It focused most of its efforts on collaboration features that would appeal to the modern workforce, such as working across the web, desktop, and especially on mobile. Quip also added team chat features and an integration with Slack. In 2014, a year after launching, the company eventually debuted its next offering: spreadsheets. Until then, much of the work was on perfecting features around productivity. It would take a few more years before the company would further encroach on Microsoft’s territory with the launch of Slides. 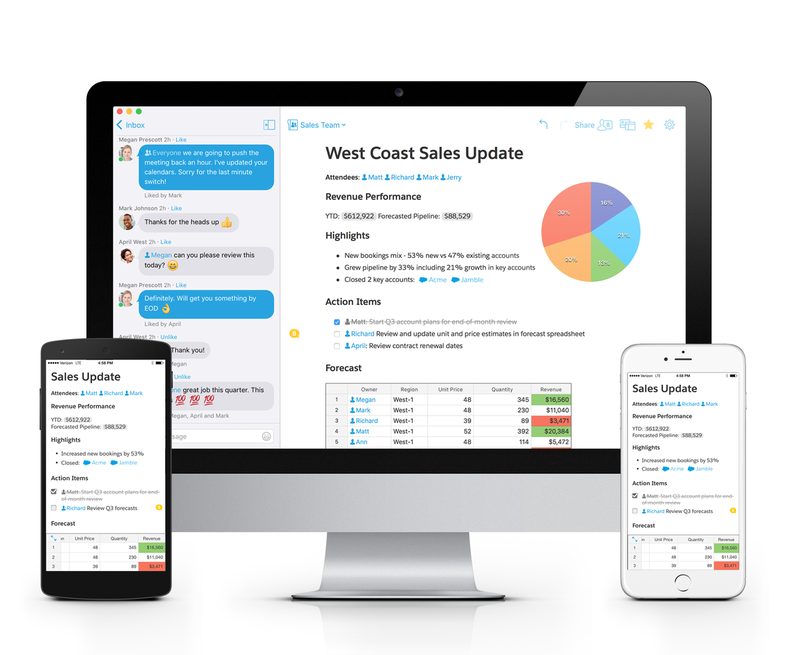 When Salesforce acquired Quip in 2016, things then moved quickly, enabling the once-known Word processing app to move quickly up the ranks and rival Google and its suite of workplace productivity tools. Quip opened up an app marketplace that enabled users to get more out of its collaboration software which was similar to what Google did earlier on. This decision was perhaps spurred by Taylor and Gibbs’ experience at Facebook and Google, respectively, two companies which have a storied history with developer marketplaces. 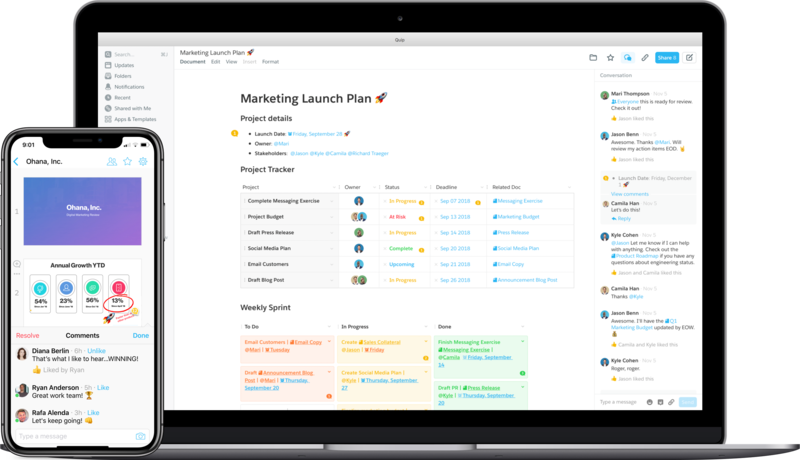 Just like Salesforce’s AppExchange has seen success, and likely could through the MuleSoft acquisition, Quip’s marketplace may also repeat results — we are nearly a year after Quip debuted its developer platform so we might expect some numbers at this year’s Dreamforce conference. But the appeal of Quip rests with its Salesforce backing, creating a single business platform that should give Microsoft pause. Months after Salesforce’s $750 million deal for Quip took place, Quip announced a slate of integrations including support for single sign-on and live data integrations. With the second feature, Quip now supports live data within documents and spreadsheets. Traditionally, users would have to copy and paste data, but now variables can be added to files that will dynamically pull in the corresponding data, so if anything changes within Salesforce, it’ll automatically be reflected within the document. Salesforce has a reputation for big moves in the enterprise space, starting from its very conception — moving software into the cloud. 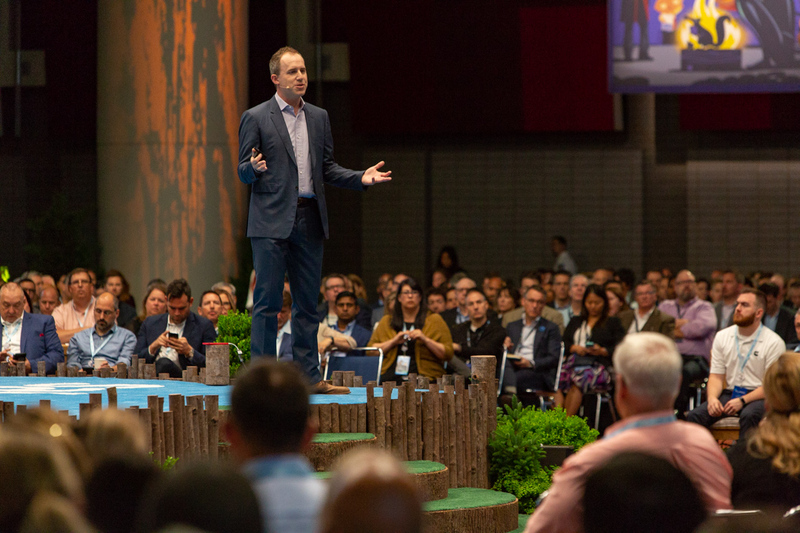 From being a major player in marketing and ad technology to customer service and support and even to continuing education, Salesforce sees itself adapting to the ways its customers are using technology, and likely wants to capitalize on not only helping people collaborate with team members, but get the most out of their Salesforce data without having to jump needlessly between different applications (e.g. Salesforce to Google Docs or even Office 365). Ownership of Quip allows Salesforce to create its version of Microsoft Office, perhaps dreaming of the day when customers will appreciate not only having beautifully designed apps for the mobile generation, but also without the overwhelming buttons and features that many ignore in Office, and from which, the freedom to easily and quickly integrate their Salesforce data. IDC estimates in a company-commissioned study, that 3.3 million jobs will be created by 2022, all because of Salesforce. This creates an opportunity that the company isn’t likely to ignore and that’s to grab people’s attention before they get enamored by Microsoft Office. Although it’s early days for Quip, we’re already seeing the prominence it’s playing in shaping Salesforce’s future — Taylor has risen up the ranks and become the organization’s chief product officer, while Gibbs has assumed the mantle of Quip chief executive. The former’s talent has even been highlighted by CNBC as having played a major role in the massive MuleSoft acquisition. The new Office of our time? As Salesforce continues to strengthen its suite of tools, it’s feasible we’ll see Quip’s influence. Whether it’s system-wide support for Quip’s documents, spreadsheets, and slides, or collaboration schema incorporated into Salesforce’s Lightning components, or branching into the AppExchange. And the roles could be reversed, with Salesforce bringing its breadth of technology into Quip, namely its Einstein AI offering. It’s within the realm of possibility that Einstein could help users locate a Quip document without needing to search, identify Salesforce data to incorporate, what team members should be included, and more. Just as Microsoft Office has held dominance over the document space for decades, we’re now seeing an era where standout platforms are moving to put their respective stakes in the ground. Salesforce has placed its faith in Quip to steer it in the direction of consumerizing its services while also adapting to the behaviors of those in the workplace, an important task as more sales, customer support, and data flows into the massive enterprise cloud computing platform.